Over $200 million in claims against defunct publisher THQ have been filed, with more to come before the bankruptcy case ends in May. THQ is gone and most of its properties have found new homes, but that doesn't mean this story is over. Not surprisingly, the defunct publisher, which filed for bankruptcy late last year, owed a lot of people money, and now those people are seeking what they're owed. Over $200 million in claims have been filed, with Microsoft and Double Fine among those looking to collect. 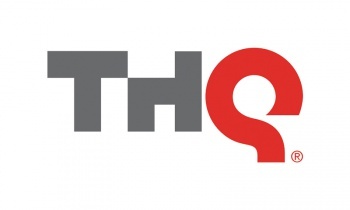 The UK-based THQ Holdings Ltd. filed the highest claim, stating it's owed $39 million after loaning money to THQ. Microsoft filed two different claims totaling over $1 million for third-party peripheral licensing and financing fees. Zuffa, LLC, the UFC's parent company, wants $1.9 million in unpaid royalties; THQ published several UFC games between 2009 and early 2012. Double Fine is looking for the $595,000 in royalties it's owed from the sale of downloadable THQ-published titles Stacking and Costume Quest, as well as PlayStation Plus promotions. And not about to be left out, a Tennessee tax assessor wants $2.98. Some of THQ's former employees have also filed claims; execs Jason Rubin and Jason Kay want $2 million and $2.1 million, respectively, in unpaid salary and severance, as well as a breach of contract. According to Polygon, many other developers and artists are also seeking payment from their work on games like Saints Row 4 and Metro: Last Light. These are just a few of the claims against THQ, with more still being filed; none will be paid until May at the earliest. That's when these bankruptcy proceedings will end, bringing an official close to the depressing tale of the rise and fall of one of the industry's most prominent publishers.